While spread bets tend to get the most action in the NBA Playoffs, there are plenty of total markets that can be just as lucrative. Sports writer, TIM HOLLIS, has identified 5 profitable total trends from the regular season that have a great chance of continuing during the playoffs. The Clippers have trended towards the over at home more than any other team in the NBA this season. They’ve gone over the total in 27 of their 41 home games, good for a very solid 65.8% record. The majority of this damage has come as a home favourite, where over tickets have cashed in 21 of 30 instances. This trend has also been profitable when the Clippers are home dogs, going 6-5 to the over in these games. Clippers ML closed at +900 at Westgate. Imagine betting it live. Biggest comeback in NBA playoff history. Curiously, Clippers road games have very much trended towards the under, going 24-17-1 this season. This has been especially true when they’re a road underdog, with unders going 19-9 so far. Given that they’re playing the defending champion Warriors, they’re almost certain not to be favoured in any games this series. Following these trends, punters should look to back the over in their home games and back the under in their road games going forward. 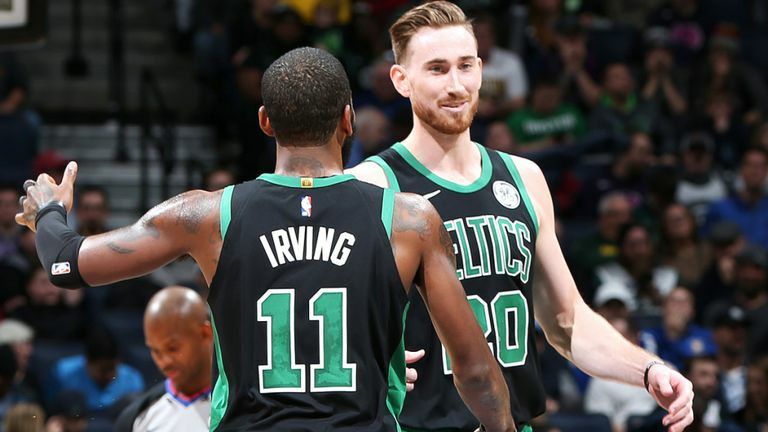 Another trend that has been very strong throughout the regular season has been backing the over when Boston are home favourites. This trend posted a solid 24-14 record, 2nd best among all playoff teams. Boston were also 15-11 to the over as road favourites this season, meaning this trend has also been profitable away from the TD Garden. This would tie in with the narrative that the Celtics haven’t been playing as hard this season. Their defence has been inconsistent throughout the year and NBA over backers have cashed tickets as a result. This trend was reversed in game 1 of their playoff campaign, holding the Pacers to a measly 74 points. If this type of elite defence can hold up, the Celtics may loom as a title dark horse at $18. That said, punters should value what they’ve seen all season over just 1 game. With a potential market overreaction coming, I think there could be strong value on the over in game 2. Punters have had great success backing the under in Nuggets road games all season long. They were the most profitable side in the NBA towards the under, going 25-15-1. It was a remarkably consistent and profitable trend, cashing over 61% of tickets as both a favourite and an underdog. Denver were also slightly profitable towards the under at home, going 23-19 on the year. As luck would have it, their first-round opponent San Antonio Spurs have also trended towards the under in home games this season. Under backers have cashed 56% of tickets on Spurs home games this season, setting up some potentially lucrative opportunities. With the Spurs stealing game 1 on the road, this series has every chance of going at least 6 games. This would give Denver 3 road games and provide 3 very strong betting spots for punters. While Golden State have been a bogey side for punters all season, there have definitely been some profitable trends. One of these is backing the under in Warriors home games, which has a 26-16 record this season. A large part of the reason behind this is that Golden State totals are naturally inflated by the betting market. They see just how lethal this side can be offensively and end up setting totals that are difficult to reach, even in the modern NBA. This trend held true in the first game of the playoffs against the Clippers, before a scoring explosion led to a comfortable over in game 2. As outlined above, the fact that the Warriors are playing the Clippers adds extra weight to this trend. Clippers overs have been a great bet at home and a poor one at home, in direct contrast to Golden State. In line with this trend, punters should look towards the under in Warriors home games going forward. With the Warriors currently $1.45 NBA Title favourites, this could be a staple trend in another deep playoff run. Perhaps the most profitable NBA total trend on this list has been taking the under in games where OKC are underdogs. This has gone a very strong 15-4 on the season, which is good for 79%. There is a particularly strong sample size when they are road underdogs, trending under in 13 of 17 instances this season. As we enter the playoffs, the Thunder are unlikely to have any more road games as favourites, meaning this trend could be a potential gold mine. It held true in game 1 of the playoffs, a relatively low-scoring affair in Portland. This is in contrast to their strong over record as favourites, going 35-27-2 in such instances this season. Nevertheless, the sample size is large enough where I’m comfortable backing OKC as underdogs. Starting with game 2 in Portland tomorrow, I expect this trend to continue being profitable the rest of the way.